Origin: Manuel de la Rocha, or Empath, is a Spanish mutant whose family can be traced to the Ancient Romans. 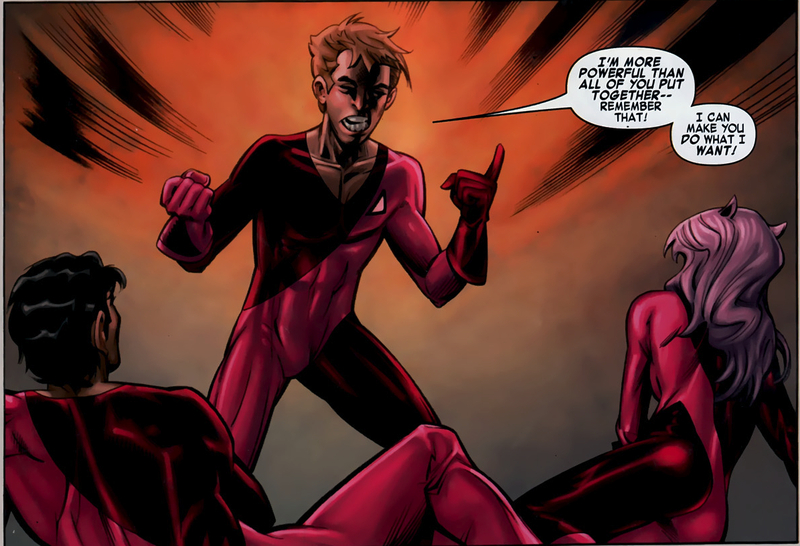 He was part of the original Massachusetts Class under the then evil Emma Frost known as the Hellions. The Hellions would often act as archrivals to Professor X’s New Mutant class. It was due to these altercations that Manuel fell in love with the New Mutant Magma, even convincing her to join the Hellions. Their relationship ended, however, during a trip to Magma’s home of Nova Roman, when it was discovered that Manuel had been using his powers to subtly control Manga’s emotions. Sometime after, Manuel joined X-Corporation, a world wide Mutant-rights organizations, where he developed an addiction to the drug Kick. After M-Day, Manuel was taken in by the X-Men due to still having powers, and was assigned to help an emotionally unstable Magma. This too ended in disaster, as Manga took out all her frustration on Manuel, prompting him to leave. 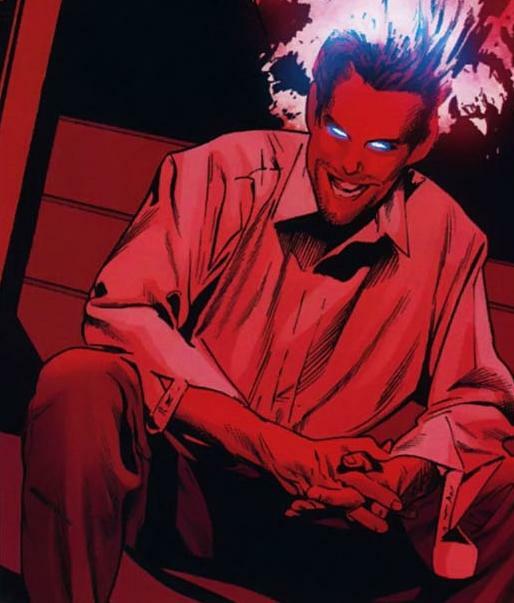 Manuel then reappears as the mental slave of the mysterious Red Queen and her Sisterhood of Mutants, and takes down many X-Men before being defeated by Pixie. The defeat left Manuel blind, which actually endeared him to Magma once again. Imprisoned by the X-Men, Manuel is killed during the witch Selene’s attack on Utopia. His Deal: Empath was one of the most notable members of the original Hellions, and one of the few to survive after the attack of Trevor Fitzroy. He was arguably Emma Frost’s most successful student at the time, as he was able to “seduce” Magma into joining their side. It is somewhat unclear, however, as to the extent of Empath’s manipulation of Magma, or whether is was totally conscious. His longest relationship was with Magma. Personality: Much like his mentor Emma Frost, Empath was cunning, manipulative, cruel, prideful and very arrogant. He was a believer of mutant supremacy. He believed his ability to control others put him above everyone around him. He even challenged Emma Frost, though he later regretted that mistake. However, Empath did genuinely care for Magma, and even used his powers to convince her that Nova Roma was real, one of the rare times he ever used his powers for others.